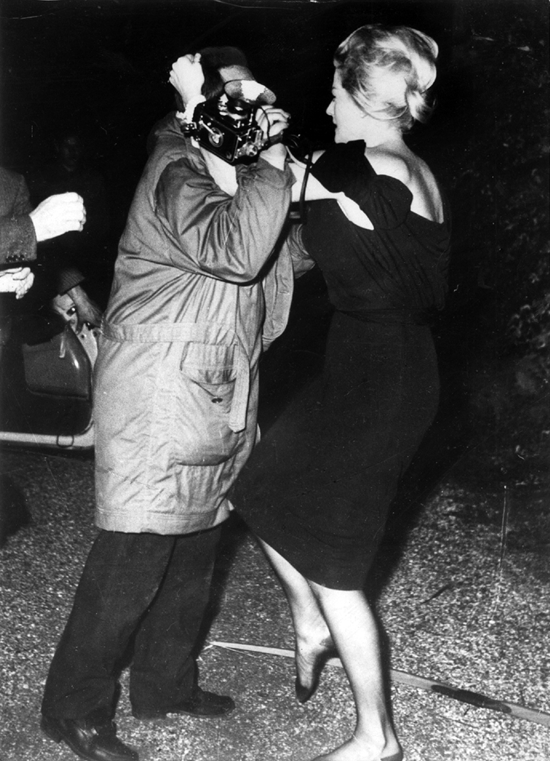 Swedish actress Anita Ekberg pulls the hair of a photographer and attempts to kick him to defend the privacy of her Roman villa, Oct 20th. Photographers followed the actress around town in the wee hours of the morning and attempted to invade the grounds of her villa. Miss Ekberg, using a target bow with deadly accuracy, smashed one flash gun, hit a camera and drove another arrow against a photographer’s shoulder. The photogs retreated.